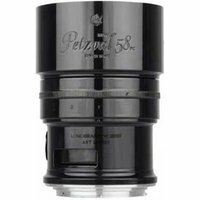 The Lomography Petzval 58 Bokeh Control Art Lens features a new Bokeh Control Ring, which allows you to alter the distance between the lens elements in order to change the shape and strength of Petzval's distinctive swirly defocused areas. Effectively, you can shape and style your bokeh however you see fit. The lens also boasts a fast f/1.9 maximum aperture which allows you to gather plenty of light even with fast shutter speeds, making the Petzval 58 ideal for outdoor portraits or dreamy street scenes.